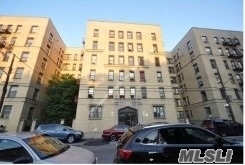 Located Between The Norwood And Williamsbridge Areas Of The Bronx At The Height Of 213Th Street Close To The Bronx River Parkway. Just 2 Block From Subway Lines 2 & 5. Cctv - 32 Cameras Throughout The Building. Remote Access Through Internet. 70% Of All Apartments Completely Renovated. New Bathrooms And Kitchens, New Electrical Wiring, New Plumbing, New Interior Doors, New Sheetrock, Moldings, And Floors. New Plumbing Risers Throughout. Fire Escapes Scraped And Repainted 1 Year Ago.